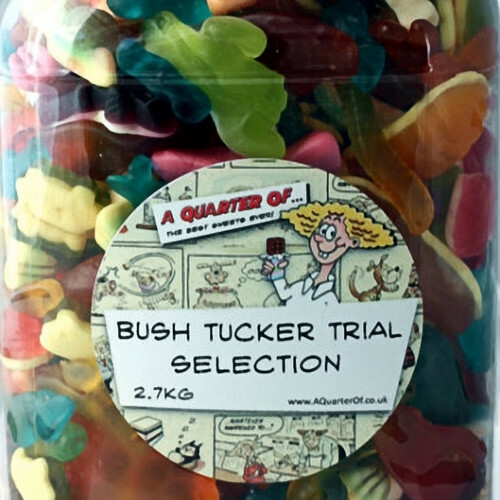 Bush Tucker Trial Selection Jar - We love I'm a Celebrity here, so we thought we'd celebrate the best bit of the show (make them eat MORE bugs!) 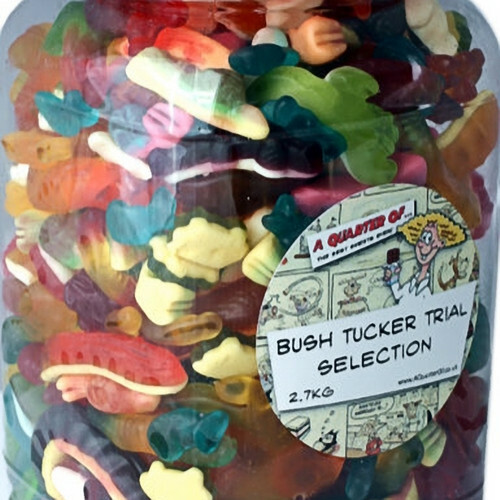 by creating our very own Bush Tucker Trial jar. We've selected our most life-like insects and animals, and put them all together in one of our big selection jars - . from Giant Rats - to Vicious Vipers - to Jelly Filled Snails - to Scary Spiders - to Crazy Crocodiles - and many many more!!!! We cram as many in as we can. 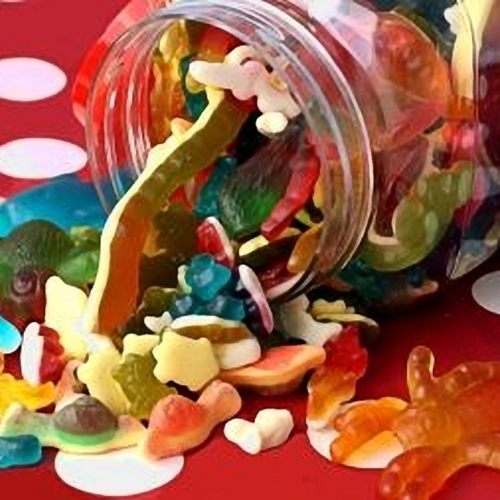 Officially we say that the sweets weigh 2.7 kg - but really they may weigh a fair bit more!